"Wine Enthusiast" has rated the wine "Falkenstein Pinot Bianco - Weissburgunder Alto Adige Valle Venosta, Trentino-Alto Adige, Italy" from the vintage 2013 on 04.01.2016 with 88 of 100 points. "Vinous Antonio Galloni" has rated the wine "Falkenstein Pinot Bianco - Weissburgunder Alto Adige Valle Venosta, Trentino-Alto Adige, Italy" from the vintage 2008 on 01.10.2009 with 90 of 100 points. 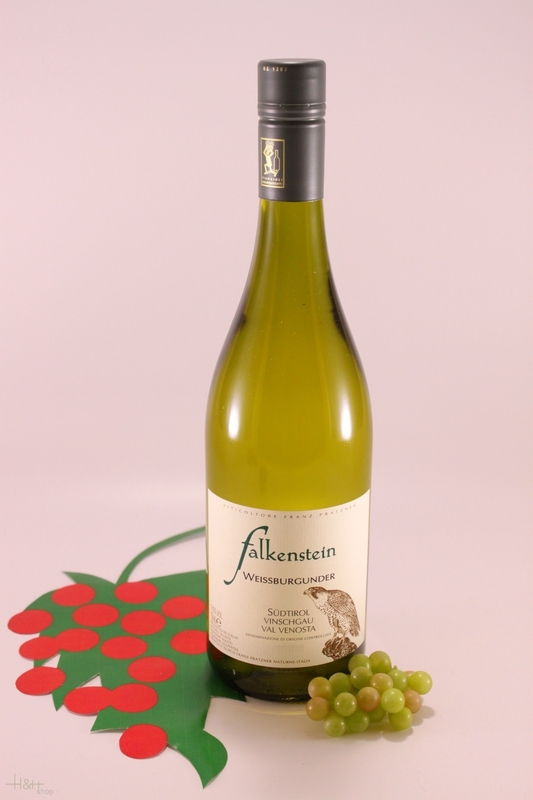 "Stephen Tanzer" has rated the wine "Falkenstein Pinot Bianco - Weissburgunder Alto Adige Valle Venosta, Trentino-Alto Adige, Italy" from the vintage 2006 with 91 of 100 points.